In short, we do it all and we do it well. 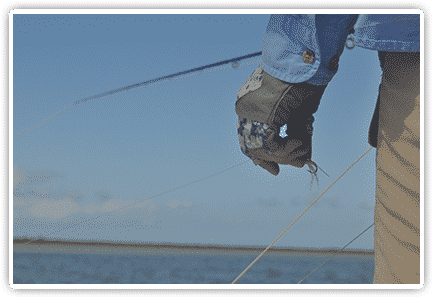 We are first and foremost a high-end charter/guide outfit based out of Madaket on Nantucket Island that specialize in fly and spin fishing. We use all Shimano and Loomis equipment aboard our 23′ and 26′ Regulator’s as well as our 21′ Parker. We are all about putting fishermen in the experience and having them understand the thrill of the take, the beauty of the sunrise, or the joy of watching a child feel a tug. We are lucky that Nantucket has World Class fishing for Striped Bass, Tuna, Bluefish, Fluke, False Albacore and Bonito and we want those that fish with us, whether pro or novice to walk away jaw dropped, because you should walk away feeling that way after a day of fishing on Nantucket. 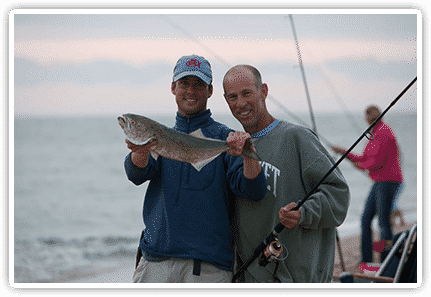 The Nantucket inshore fishing experience is what Nantucket is known for. Whether targeting Stripers in June inshore in Madaket harbor or on the flats, Stripers in the Nantucket offshore rips in July, Bonito in August, Albies in September, or Bluefish all summer long, we have the most consistent fin fishery in the world. While our bread and butter is the bluefish, we always have a specialty fish to target and are always prepared to throw the fly or a spin rod. We are fortunate on Nantucket to access world class Tuna Fishing. Whether targeting Giants east of the island or footballs South of the island our regulators are rigged for and designed for Tuna Fishing around Nantucket. The open Bow design is perfect for casting fly and spin rods and the speed allows us to chase the fish. We are also lucky in the last few years to have seen a resurgence in White Marlin. 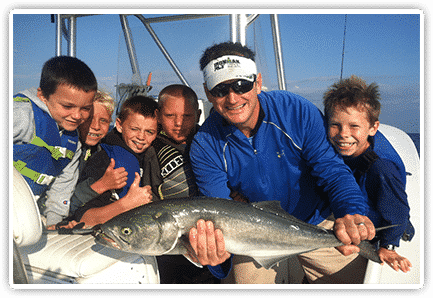 Ask us when inquiring about a charter, whether these fish are around. 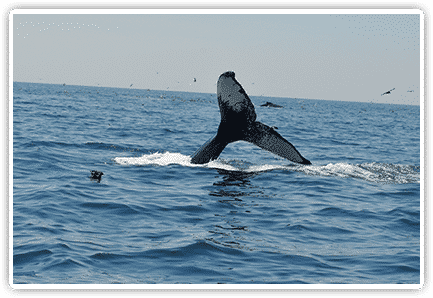 Nantucket is also known for its incredible Shark fishing as well; ask us about this charter opportunity as well. Over 30% of our clients throw the fly on a guided expedition. Whether you want a Striped Bass in the rips or the shallows or you simply want a tug from a bluefish, we have options for you on each charter. We also specialize in Tuna on the Fly as well as the occasional white marlin….If you are new to the fly, do not be intimidated, we love teaching fly fishing. While much of our clientele is the die-hard fishermen, we smile whenever we see kids walking down the dock in Madaket for a charter. There is no easier way to be happy than to watch a child’s plug get hit by a Nantucket bluefish and to hear the famous “Fish-On” Call. 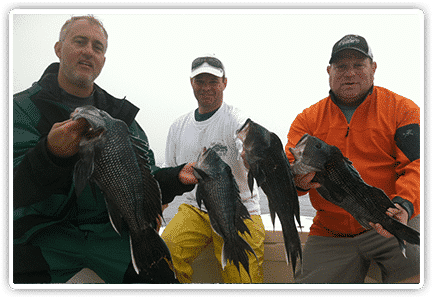 A little known treat about Nantucket is that we have incredible Black Sea Bass and Fluke fishing. We often will bottom fish on the backside of a charter, especially when we have kids on board and they want a change of pace. But if you want to bottom fish, let us know, it is great fun. We usually use our spin rods to bottom fish so that we are ready should bigger fish appear. 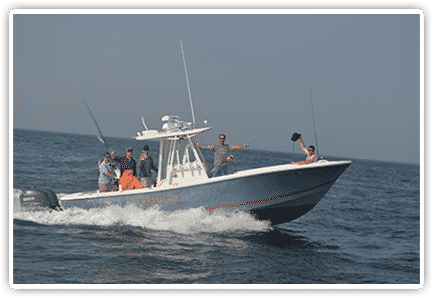 We have teamed up with James Hatton of The Nantucket Surf Casting Co. to offer beach fishing charter expeditions as well as guiding from the boats. 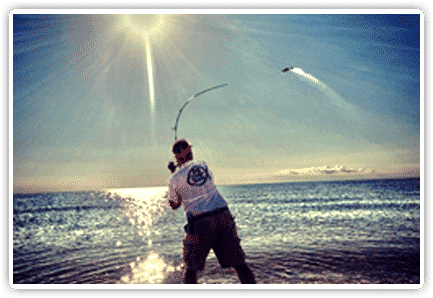 As wonderful as it is to get on the water and see the different sites, very few experiences compare with catching a Striped Bass or Bluefish with your feet in the sand. Give us a call to learn more. Even more fun, is getting to the island in the Fall and targeting False Albacore and Striped Bass.